What is Emotionally Unstable Personality Disorder? JCK Training works with the health and social care sectors to help workers learn new skills and realise their potential. 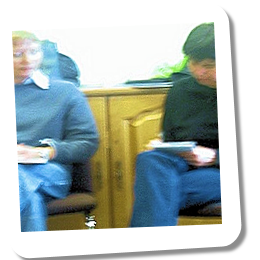 With 15 years of social care acheivment behind us, JCK Training works with local authorities, charities, health care trusts, community care organisations, prison services and supported housing providers to meet learning needs and provide the very best care and support to vulnerable adults. Welcome to our site! We specialise in health and social care training solutions that are practical, accessible and focussed 100% toward the real world needs of both staff and service users. With budgets shrinking and staff resources at a premium, JCK is providing a wider range of learning and development options than ever before. We provide In-House Training, Train the Trainer programmes, Bite Size Workshops and Training Packs to agencies throughout the UK, working hand in hand with our clients to develop learning and development solutions for care and support staff. Through our training and consultancy services we help our clients keep up to date with developments in social care work, skills development and of course the very latest from bodies such as the Care Quality Commission. While we’re busy pioneering innovative approaches to health and social care training, traditional classroom-based courses remain a very important part of what we do. Our fees are thoroughly competitive, but we’d be the first to admit that paying for a trainer, venue hire and the cost of releasing a group of front-line workers for the day makes training an increasingly costly business. We can now offer Bite-Size-Workshops of two or three hours duration covering most of our core health and social care subjects and facilitated by our own expert trainers. We can work with as many as twenty-five delegates, or as few as one or two. We can run consecutive morning and afternoon sessions to include as many of your colleagues as possible without causing major service disruption. And who needs a Training Room? We can go right to your place of work and run a Bite Size Workshop then and there. Training is all about people of course. But good training needs resources and materials as well, and not just a few dog-eared handouts and a Powerpoint presentation. We will soon be able to supply care providers with the sort of high-quality Training Packs we use for our own programmes. Tailor-made packages including audio-visual, presentation, course workbooks, course outlines and exercises.